David Arms is a visual artist, born and raised in Tennessee. 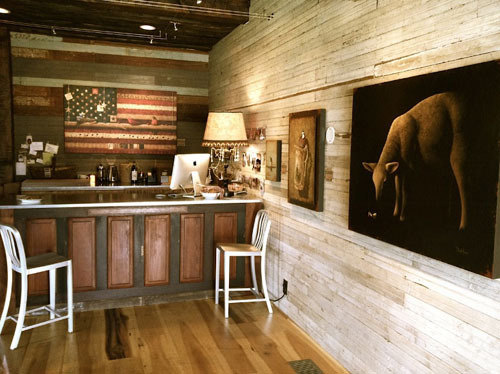 He's resided in Nashville ever since his early twenties and found a love for painting after he had married. David smartly nurtured this emerging talent and has created quite the portfolio- and following, ever since. David is a man of faith who has a strong connection to mother nature- which you see throughout his works. He spends his days drinking coffee and listening to classical music while working in his studio that is rich in natural light. I've always wanted to be a painter because of this exact idyllic picture...I know it's easier to think the grass is always greener but in David's case, maybe it's at least a little bit true. 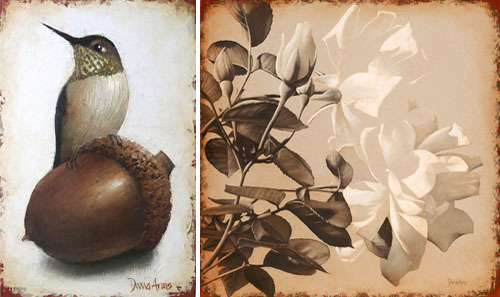 David uses many symbols in his acrylic based work including nests, birds, eggs, fruit, vessels and hummingbirds. As he shares, birds are the everyman symbol, "We live our lives doing many of the same things- we build our homes, we have our young, we provide for our young, we do everything to protect this home and the family in it. It should be our place to feel safe and protected." 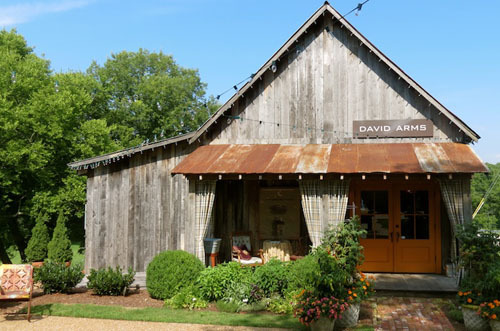 Lucky for us, we can go visit David's Gallery at the Barn in Leiper's Fork. 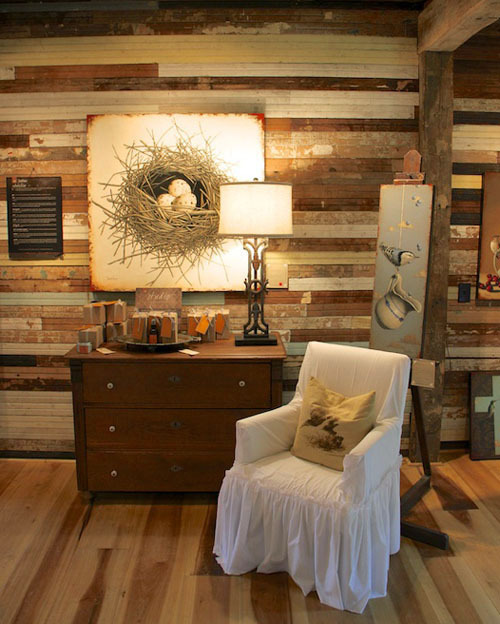 What I love is how homey and inviting the space is, a mix of old and new, found items and thoughtful art. As described by writer, Emme Nelson Baxter, "The interior space boasts an Amish poplar floor, beams from a tobacco barn, metal schoolhouse lights and walls of bead board with vestiges of paint and paper still adhering." I love this quote that David shares on his site. It is from one of his favorite books, "Jayber Crow" by Wendell Berry; "I can remember those early years when it seemed to me that I was cut completely adrift, and times when, looking back at earlier times, it seems I had been wandering in the dark woods of error. But now it looks to me as though I was following the path that was laid out for me, unbroken, and maybe even as straight as possible, from one end to the other, and I have this feeling, which never leaves me anymore, that I have been led." See David's entire portfolio, here.